We test all gemstones with a Presidium Gem Tester. Many gemstones' properties overlap and could potentially be one of many variety of gemstones. Marked 14k. Our Testing Process. I'm not sure what this item is. It might be a pendant missing the bail or and earring missing the hook. It is fully hallmarked, tested, and verified weighing in at 2.2 grams. There are no problems other than ordinary and normal use marks. For your consideration is this set of three brooches constructed from sterling silver. They each feature a bezel set amber as the focal point. They all have an applied safety clasp and are in very good condition despite being previously owned. Gold Tone Brooch; Banner With Two Dangling Ice Skate Boots Design. Our main focus is the resale ofauthentic designer clothing, shoes, handbags and accessories. This item has been authenticated by My Poupette, the world's oldest online authentication service! 10K WHITE GOLD--SMALL DIAMOND. 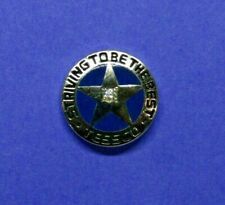 "STRIVING TO BE THE BEST". Mfg by TERRYBERRY 10K EMB. The clutch back is not gold, only the pin is gold. Sterling silver pin. Item shown next to a penny to help show size. We have an extensive collection and are more than willing to help you find what you are looking for. PIN IS BEAUTIFULLY PAINTED WITH A ROMANTIC SCENE. GREAT PRE-OWNED CONDITION. These will not be included automatically. The item pictured is the item you will receive. LENGTH: 1 7/8". Free gold tone chain to work as a necklace. Silver tone with cubic zirconia. Silver 800 S. The item is pre-owned but in very good condition.No longer in production. 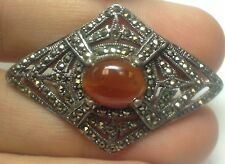 Approx 3.8 x 3.6 cm, in used, good condition. Features White Cultured Freshwater Pearls with Green Aventurine Gemstones. Stunning Large Pearl & Aventurine Gemstone Brooch. Get In Touch. Jewellery Kitchen. Supplied in an organza gift bag. Why not get creative and add to a band as a fascinator?. For the wonderful Westie lovers, this endearing animal brooch pin is sure to win your heart. This adorable brooch pin features a West Highland White Terrier dog motif, with cute enamel detail and a glistening crystal collar. Don this adorable doggie pin on blouses. sweaters, scarves, hats and more and add spirited playfulness and fun to your style. For the sassy Scottie lover. this shimmering, crystal embellished, alloy brooch pin is sure to win your heart. This enchanting brooch pin features a shimmering, Scottish terrier dog motif, ready to help you celebrate the vivacious animal jewelry trend. Don this adorable doggie pin on blouses. sweaters, scarves, hats and more. 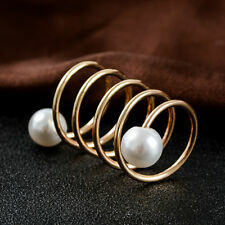 For a touch of the whimsical animal jewelry trend with elegant design, you will love this captivating brooch pin. 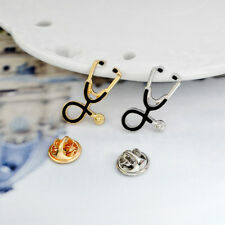 Composed of lustrous gold plated alloy. an owl motif comes to life with watchful eyes, evocative of wisdom, intuition and focus. Buzzing its way into your jewelry collection is our newest insect brooch pin. Lustrous gold plated alloy is fashioned into a spirited bumble bee motif, beautifully enhanced with shimmering, amber gold colored, crystal embellishment. This delightful accessory will add whimsical charm with touch of springtime appeal to any ensemble. Lustrous gold plated alloy is fashioned into a captivating dragonfly motif in this beautifully designed, insect brooch pin. Simulated pearl at center with shimmering, clear and green crystal embellishment gives a vintage feel. Evocative of change, transition and self-realization, the dragonfly is a beloved motif to enhance your style.